With the first round of the elections over last month, the streets of Bali are breathing a sigh of relief. Thousands of posters of pious candidates have now been dismantled and the trees have reclaimed their former territory. I love the ritual of voting in Bali. This serious ordeal is treated like a ceremony and the required code of dress is none other than the ubiquitous sarong. The occasion itself is like a jolly street party, minus the free-flowing beer, where the villagers get together and discuss all things topical while waiting to vote in the local banjar or town hall. And the process can take hours. Round two of the elections is on July. I love the early months of the writer’s festival, with writers appearing and disappearing and other surprises falling into our laps. In these difficult times, the generosity of our participating writers is more then we could imagine. Writers continue to express interest from all corners of the globe and the hardest job for the team is to say “no”. With our 2009 theme, Suka-Duka: Compassion & Solidarity taking centre stage, our selected writers are guaranteed to explore debate and challenge this topic. Leading our international writers is Nigerian poet, novelist, essayist and playwright, Wole Soyinka. A Nobel Prize Laureate in literature, Soyinka is considered among contemporary Africa's greatest writers. He is also one of the continent's most imaginative advocates of native culture and of the humane social order it embodies. He has been an outspoken critic of many Nigerian administrations and of political tyrannies worldwide, including the Mugabe regime in Zimbabwe. During the civil war in Nigeria, Soyinka appealed in an article for cease-fire. For this he was arrested in 1967, accused of conspiring with the Biafra rebels, and was held as a political prisoner for 22 months until 1969. Soyinka has published about 20 works; drama, novels and poetry. He writes in English and his literary language is marked by great scope and richness of words. The Festival’s Curatorial Board has now completed the selection process for the invited Indonesian writers. The Board, comprising noted writers Melani Budianta (Jakarta), Azhari (Aceh), Mashuri (East Java), Lily Yulianti Farid (South Sulawesi) and Tan Lioe Ie (Bali), have selected 15 young, promising Indonesian writers to be featured in the 2009 Festival. With these fresh and intelligent writers on board, the 2009 Festival will be the perfect place to be, particularly for the avid literary lovers who are keen to get a glimpse of the future of the Indonesia literary landscape. 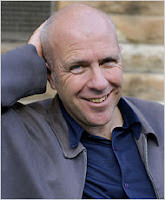 The Ubud Writers & Readers Festival brings back one of the most memorable speakers of the 2007 event, acclaimed Australian author Richard Flanagan, (NYT photo left), in conversation with Janet De Neefe. Richard will be discussing his latest novel Wanting, and his experience as screenwriter for Baz Luhrman's Australia. Enjoy a 3 course meal from guest chef Alicia Tivey, formerly of Tetsuya's in Sydney, featuring some of Tasmania's finest culinary offerings. Yes that’s right, our new website is launched! Stay tuned over the next few months for regular updates and information about the program. You can now also follow us on Facebook, Twitter, YouTube, and Flickr. As a not-for-profit organisation we rely on the generosity of individuals and corporations to keep the Festival running. There are many ways you can help, through volunteering, becoming a Friend of the Festival, or by becoming a sponsor. Please contact us to find out the benefits these can bring to you as well!